22 Common Antidotes that Every Student Should Know! Antidotes are substances used to reverse the effects of poisoning. The word “antidote” comes from the Greek work antidoton to mean “administered as a remedy”. No matter what field of medicine you study – pharmacy, nursing or medicine – you are expected to have a rounded knowledge of what antidotes work for specific types of poisoning. Some antidotes work for more than one type of poisoning. For example – activated charcoal can be used to reverse the effects of many different poisonings. Other antidotes are more specific, treating only one type of poisoning. Below, we’ve tabulated a list of antidotes that every student should know – keep revising until you’ve committed all twenty-two (and no less) to memory! Treatment paths often depend on more than just the source of the poisoning. For example – in the case of acetaminophen (paracetamol) poisoning, treatment often depends on whether the patient has presented soon after the overdose or presents many hours later. By presenting soon after the overdose, the patient may be administered activated charcoal. This antidote serves to flush the medicine out of the digestive tract. However, if the overdose has lingered in the body over many hours, activated charcoal becomes less useful. Instead, another antidote – called N-acetylcysteine is used. This antidote works to replenish glutathione levels – glutathione being necessary to conjugate the toxic metabolite NAPQI and help shuttle it out the body. Because when patients take an overdose of acetaminophen, glutathione levels are depleted. Glutathione is produced by the liver to remove toxic elements from the body – such as N-acetyl-p-quinoneimine (NAPQI). N-acetylcysteine rejuvenates glutathione levels to help remove the toxic elements associated with acetaminophen overdose. In some cases, N-acetylcysteine may be used even if the patient presents soon after overdose; for example – where the patient presents with severe symptoms. In any event, this example illustrates that there is often no one clear therapeutic direction to drug poisoning. Treatment invariably depends on a case-by-case assessment. 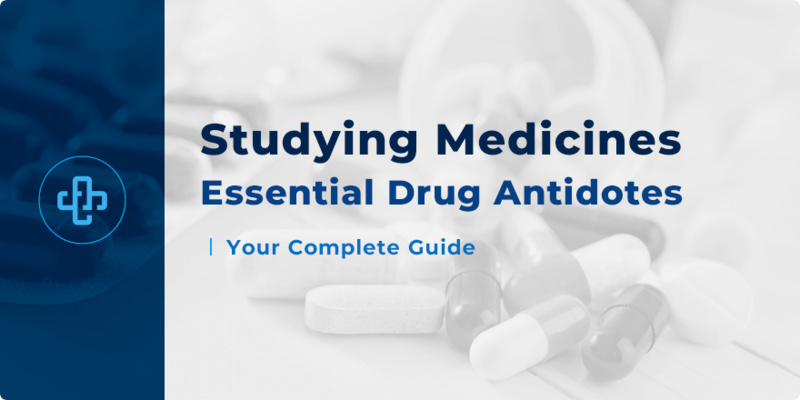 Want to test your knowledge of drug antidotes? Register with PharmaFactz today! Check back to our pharmacy blog soon for even more great articles on clinical pharmacy. Also, take a few seconds to join our newsletter (above) to receive all the latest updates direct to your email!